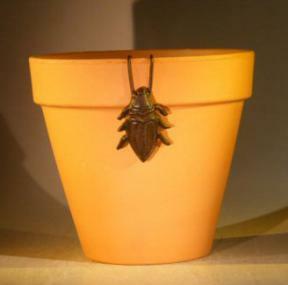 Cricket Cast Iron Hanging Garden Pot Decoration. Measures 2.0" wide x 2.75" tall. Terra cotta pot not included.